The Stewardship Plan describes its proposed “Ten Year Management Schedule” on pages 68-72. 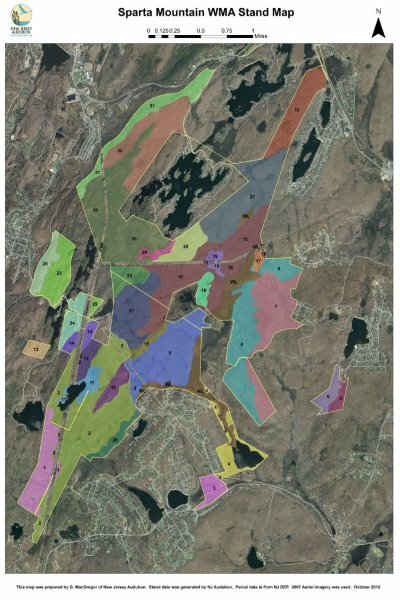 Our analysis indicates that over the 10-year period, up to 715 acres will be managed with practices that remove forest canopy, including “seed tree,” which is basically clearcutting with a few trees left standing; “shelterwood,” which is essentially patches or strips of clearcutting; and “single tree selection,” which generally removes the largest, most mature (and most financially valuable) trees in the forest. The Plan indicates that the following Timber Stands will receive the management described above between 2016 and 2025.